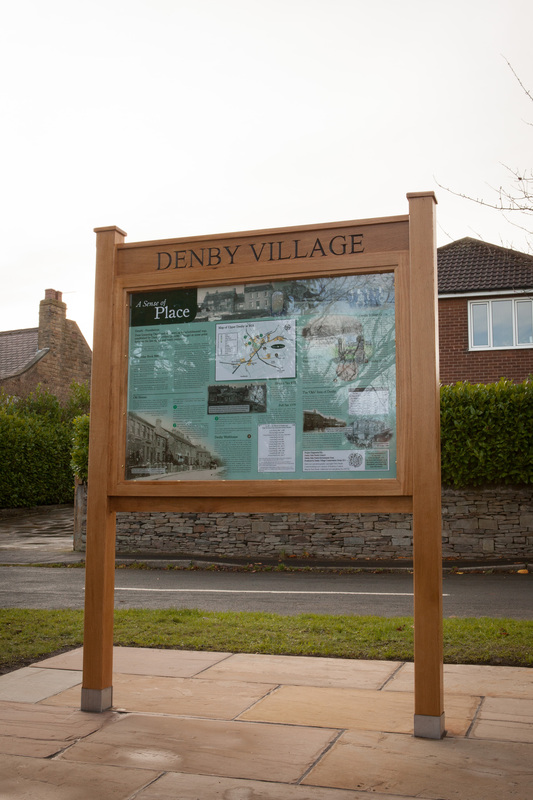 The Denby Village History Board was unveiled on Saturday the 25th of November. It was a very cold day but we had over 30 residents come to watch the unveiling. 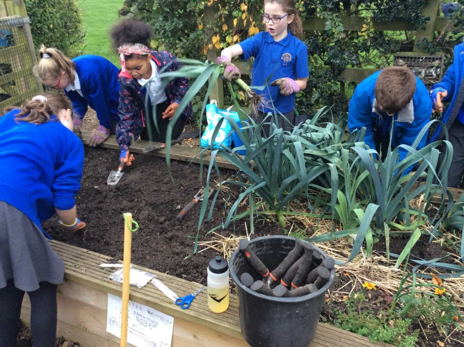 This is the major project for Denby Village Conservation Group for 2017. 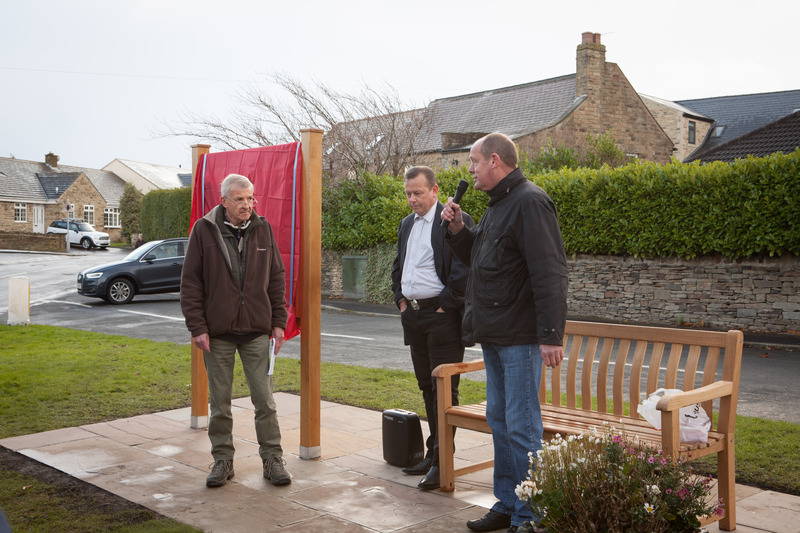 Firstly the Chair of Denby Village Conservation Group Ken Bellamy starting off the proceedings, with him in this photo is David Raistrick the project manager and whose idea this was with Chris Heath Local Historian who unveiled the Board. The Project Team is Ken Bellamy – Chair, David Raistrick – Project Manager, Chris Heath – Local Historian, who provided many of the photos and text, Paul Heath – Joiner who made the board with English oak, Helen Stothard – Designer, James Hodgson of JWH Landscape & Fencing Services who provided his time and labour and that of his employee, Lyle Humphries, for free. Missing from the photo, but is very much missed, is Richard Nicholls of the Denby Dale Book Shop who tragically died recently, and helped us with the original design of the board. 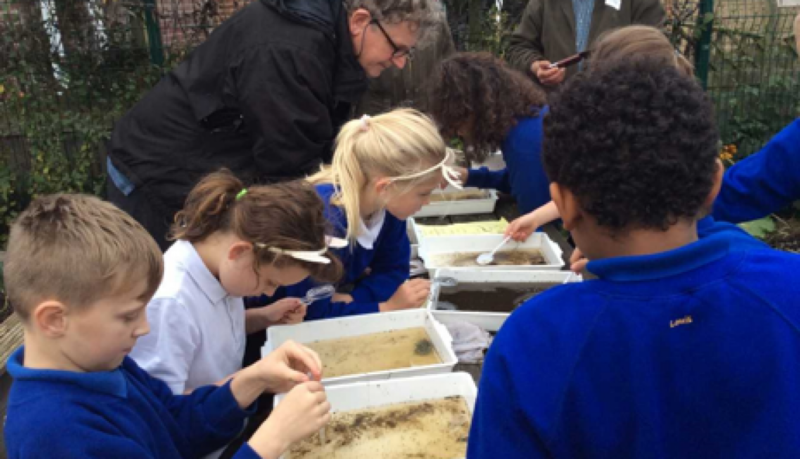 Thanks too to Denby Dale Parish Council and Denby Dale Parish Environment Trust for their grant funding. Left to right, we have: Ken Bellamy – Chair, Lyle Humphries, James Hodgson, David Raistrick, Chris Heath, Helen Stothard and Paul Heath.